Nifty opened positive around 6070, but dipped to the low of 6050 within the first few minutes of trade. Thereafter the buyer took control to move the index to the highs of day at 6080 but profit booking saw the index closed just positive at 6062.70, a small gain of 9.25 points. The broader market though was weak, with 649 advances to 761 declines. Best support for the Series at 6000PE with OI now at 89.5 lacs. Call option 6100-6200 added 4.09 lacs huge amount of OI with short covering seen at 6000 and below strike prices. Put option 6000 added 2.41 lacs huge amount of OI with profit booking seen at 5900 and below strike prices. 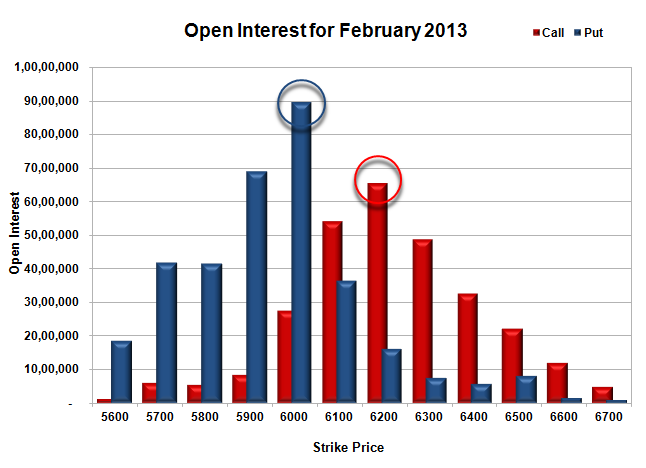 Nifty Open Interest is at 1,59,14,250 up by 4,80,200, with small increase in price, most probably long build-up. 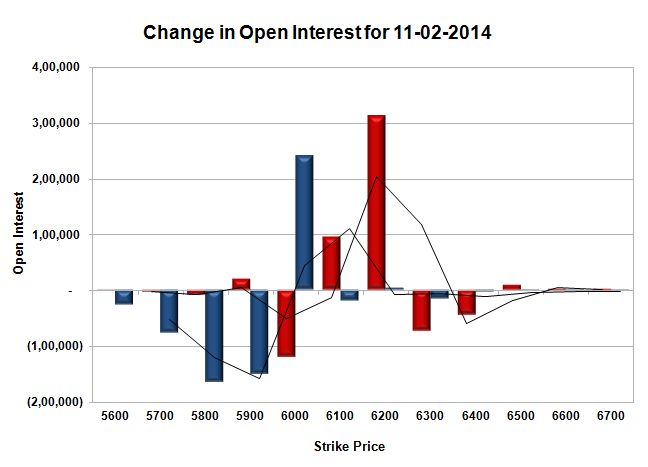 Bank Nifty Open Interest is at 19,02,675 down by 1,575, with increase in price, most probably short covering. FII’s sold huge 8.74 lacs Futures, mostly short build-up, as their net OI increased by 14281 contracts (includes 24251 longs and 41722 shorts for the day) and the average price per contract comes to around 5986.63. FII’s future open contract as on date is 383707. PCR Open Interest (Volume) is has dropped a bit to 1.262. Best support at 6000, with highest OI of 89.53 lacs and below that at 5900 with huge OI of 68.87 lacs. Initial resistance at 6100, with huge OI of 54.07 lacs and above that at 6200, with OI of 65.55 lacs. 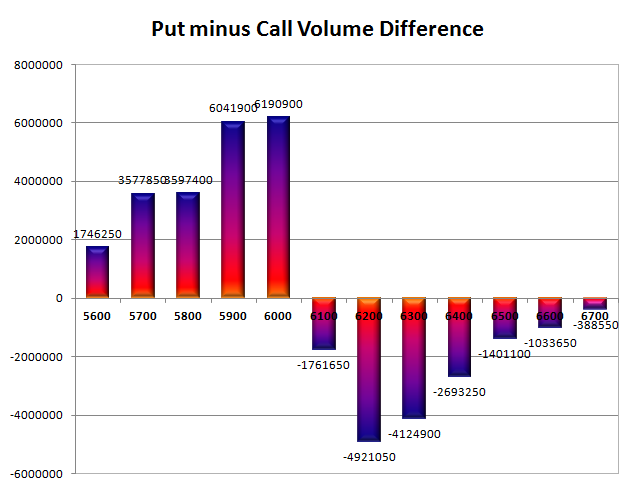 Day Range as per Option Table is 6021 - 6110 and as per VIX is 6004 - 6122 with 6066 as the Pivot.